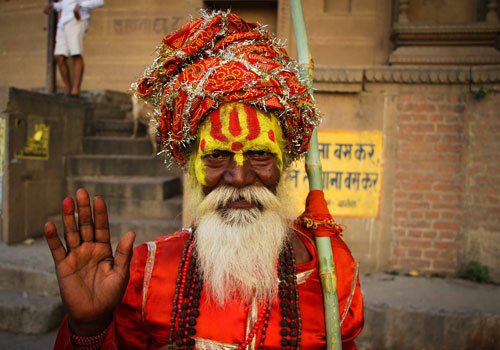 This itinerary covers two main pilgrim spots of Hindus and Buddhists. The tour stretches for four nights and five days covering Varanasi, Bodhgaya and Sarnath. The tour is primarily focused on religious attractions. A few natural attractions are also added to the itinerary. The itinerary is deliberately kept open during many days of the trip to customize it as per your taste. 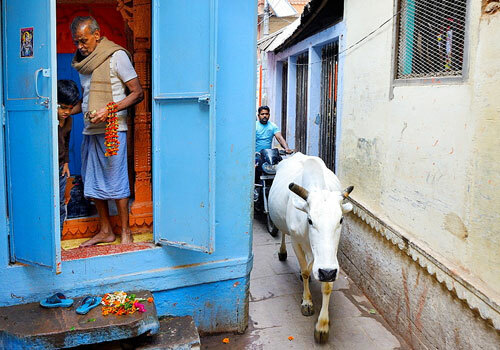 Varanasi is one of the oldest city of the world that is still inhabited. It was the heart of Hinduism birth. You can find many temples along the banks of the holy river, Ganges. Sarnath is the place where Lord Buddha preached for the very first time after his enlightenment. Bodhgaya is famous for Buddha temples, Vishnu temples and others. You can also find the Bodhi tree of enlightenment here. The tour starts with a representative picking you up from railway station or airport and escorting you to a pre-booked hotel. The rest of the day until evening is free for leisure activities, shopping or short sightseeing that you desire. 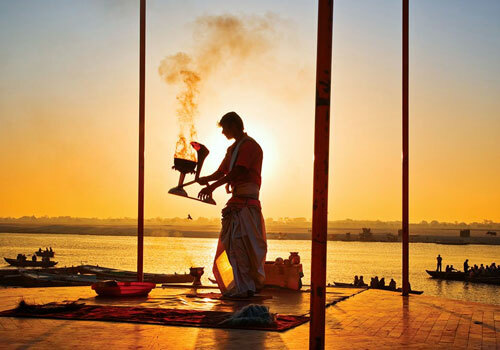 Right before sunset, you will be taken to DashashwamedhGhat to enjoy Ganga Aarti. This ritual takes place every evening during sunset. During this ritual, priests perform synced rituals and thousands of small oil lamps are let to float on a leaf on the river. The river will be filled with small balls of fire like the sky. It is an iconic attraction of Varanasi. Since the ghatwill be filled with devotees and tourists, you can hire a boat and watch the ceremony from the river. It is an important attraction in Varanasi. The trip starts very early in the morning even before your breakfast. 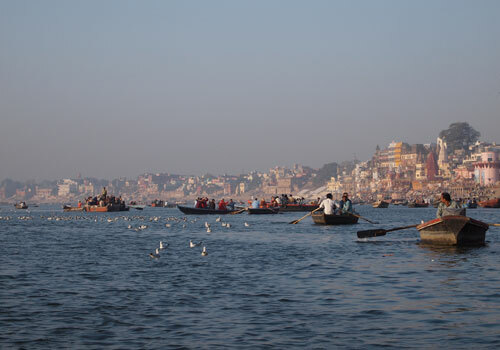 Early morning Ganges cruise on a boat is another iconic tourist attraction here for two main reasons. The first reason is the ghats that you find along your route. Each ghat has a specialty. For instance, ManikarnikaGhat is a spot to find Hindu cremation ceremonies. Moreover, you can find many people taking holy bath or performing rituals along the sides of the river. The second reason is the aesthetically pleasing river during a foggy morning. After the cruise, you will be taken on a sightseeing tour that covers important temples like Annapurna temple, SankatMochan Hanuman temple, Bharat Mata temple, Kashi Vishwanath temple, ManasMandir, BHU and others. Later, you will be escorted back to your hotel for breakfast and brief rest. By early afternoon, you will be taken on a road trip to Sarnath. 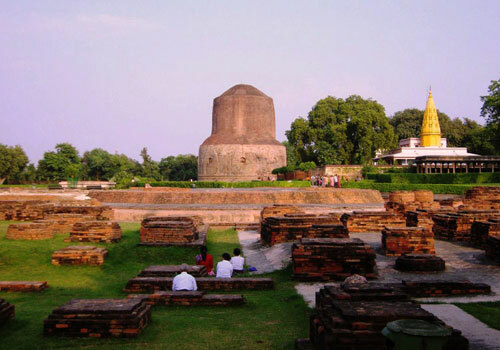 Sarnath is an important Buddhist pilgrim spot. This is the place where Lord Buddha gave his first sermon after enlightenment. Top attractions in Sarnath are Chaukhandi stupa, Buddha temple, Dhamekha stupa, archeological museum and others. You will return to Varanasi by early evening. The rest of the day is free for leisure shopping, sightseeing or resting. After breakfast, you will be taken on a road trip to Bodhgaya. After checking into a hotel, you will be taken on a sightseeing tour that covers Bodhi tree, Maha Bodhi temple, Buddha statue and others. Apart from these Buddhist attractions, you will be taken to Ram Chura, Janki temple, SitaKund, HaleshwarAsthan and others. After breakfast, you will be taken on a road trip to Gaya. Gaya is famous for unique temples. There is a temple in Gaya where you can find Lord Vishnu’s footprint. Top tourist spots covered are Vishupad temple, Vishnu temples, Chinese temple, Tibetan temple, Japanese temple, Phalguna River and others. 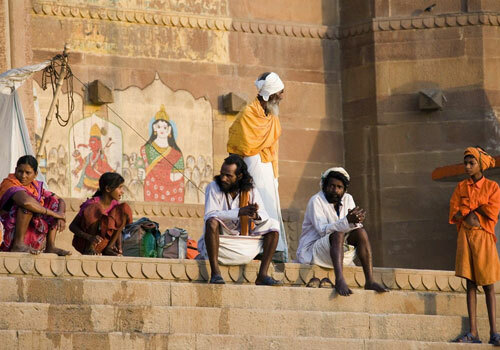 By early evening, you will be taken on a road trip back to Varanasi.